with a black opaqueing layer in the middle so light does not shine through. Any of our images can be made into a Double-Sided Banner. NO - cheap "see through" vinyl making it hard to read the second side. NO - cheap 10 ounce vinyl or plastic material that won't last. ONLY - Premium Block Out center banner material, Outdoor Grade, Nylon Reinforced Vinyl - only the VERY BEST ! 100% Premium Quality Safety Banners manufactured on state-of-the-art digital vinyl banner printers. Our Double-Sided Banners are manufactured on specialized vinyl banner material that has a black opaque layer sandwiched between two layers of white vinyl. This way when light shines on our banners you can NOT see the image on the back side. 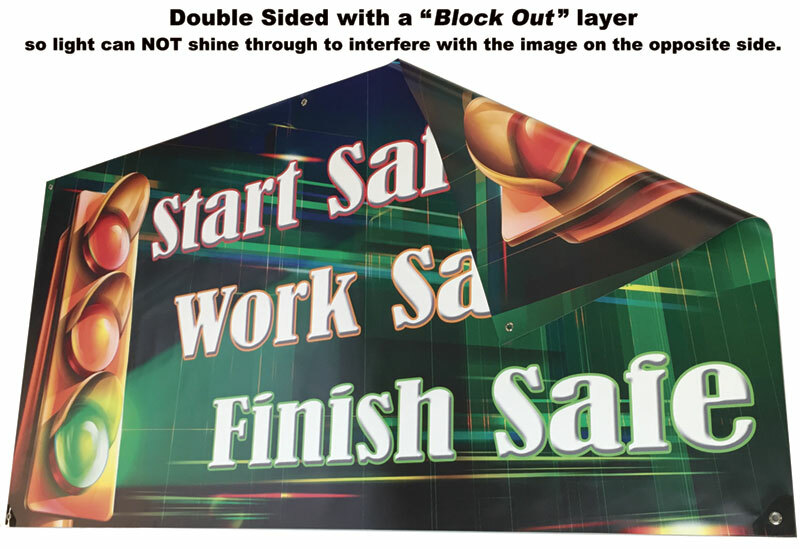 (Most safety banner producers do not use block out banner material because it is so expensive.) Many manufacturers use a standard banner material (which is dramatically less expensive) but allows light to shine through making the image very difficult to see and read the other side when there is light on the safety banner. O ur Double-Sided Light Pole Banners have a pocket on both the top and bottom into which the pole brackets slide. 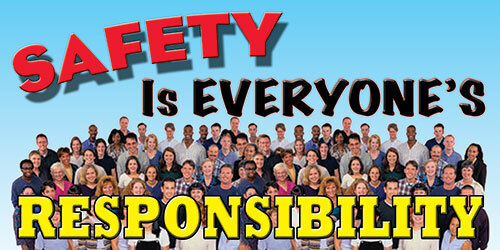 Light Pole safety banners are a custom product. Call 901-759-0932 or email us (button top center) for custom quoted pricing. If you have ANY QUESTIONS, please email us, button top center, or call us - 901-759-0932 (Central Time).